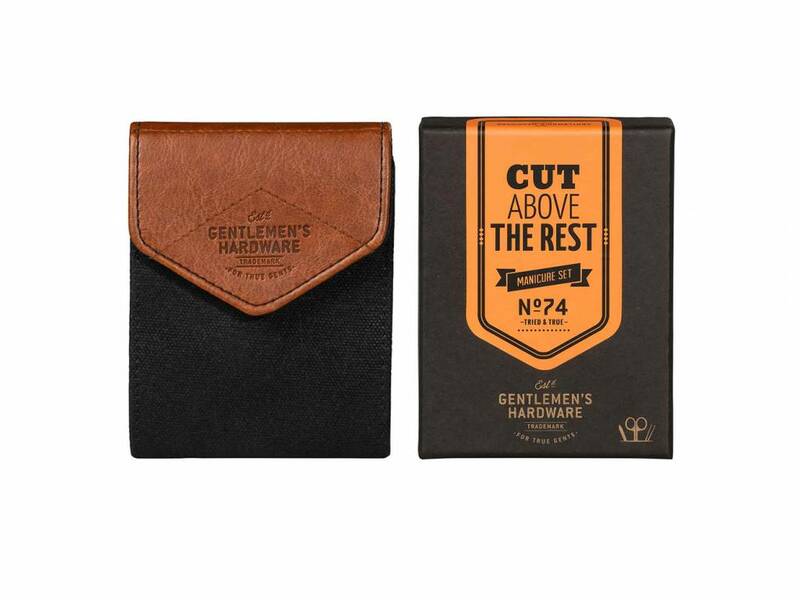 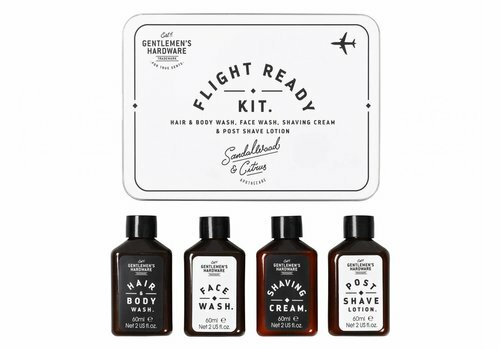 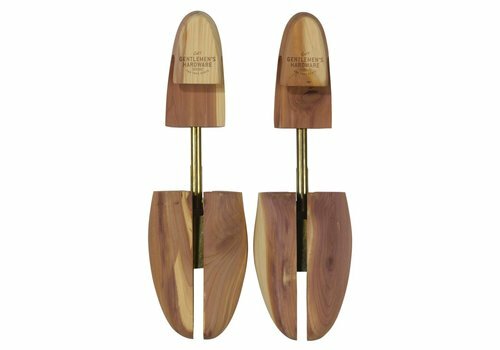 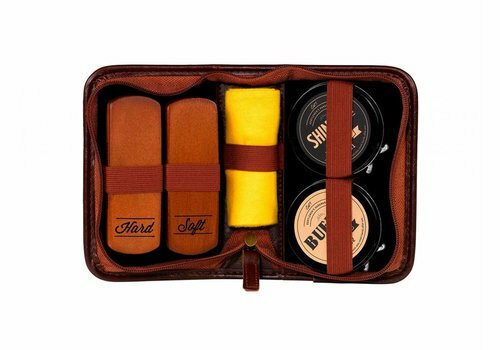 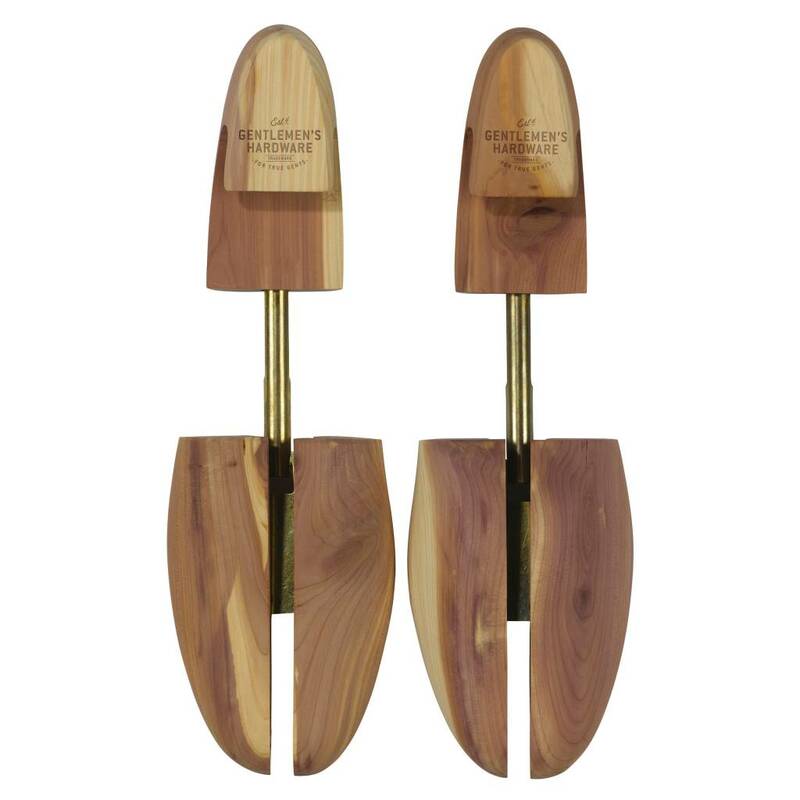 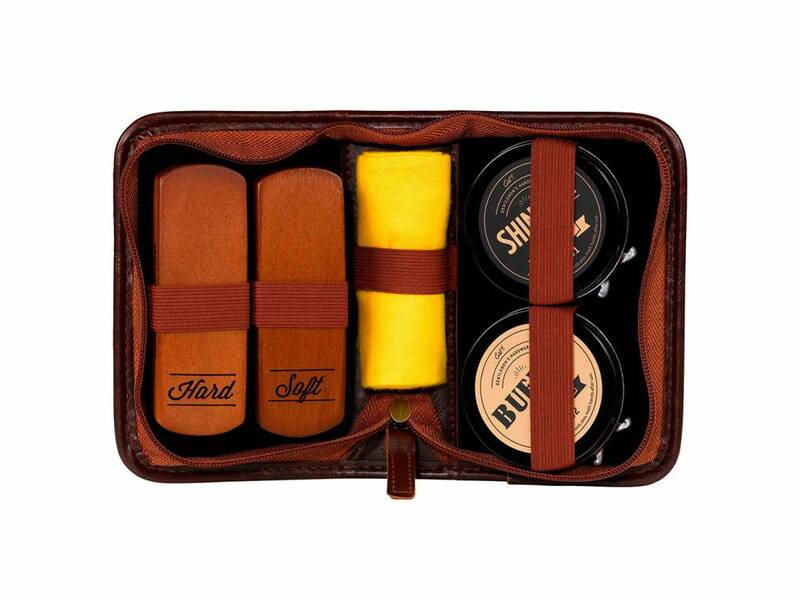 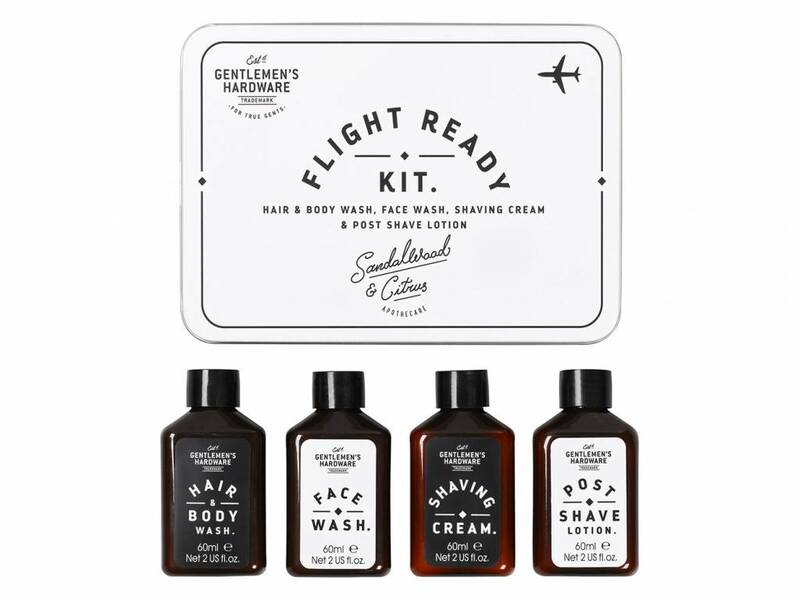 Keep digits dapper after a day of hard graft with this manicure set. 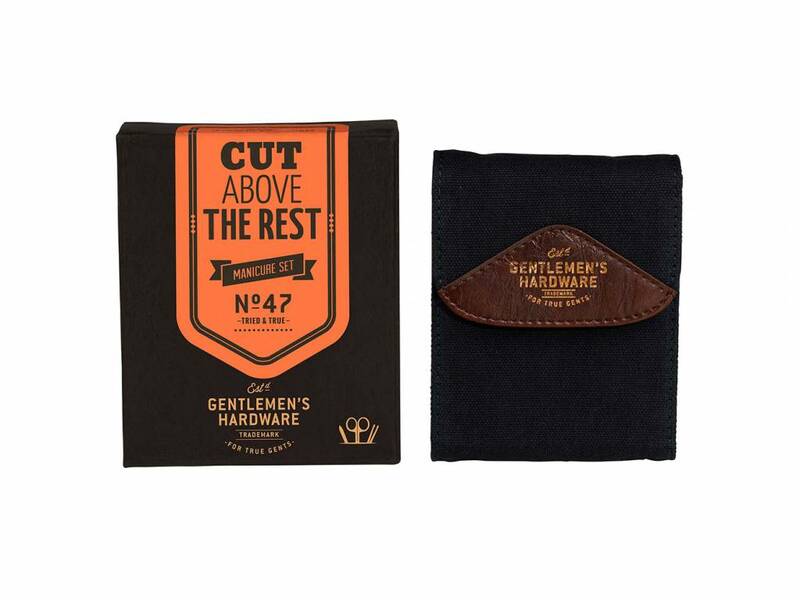 Packaged in a handy wax-canvas navy case with leather-effect detail. 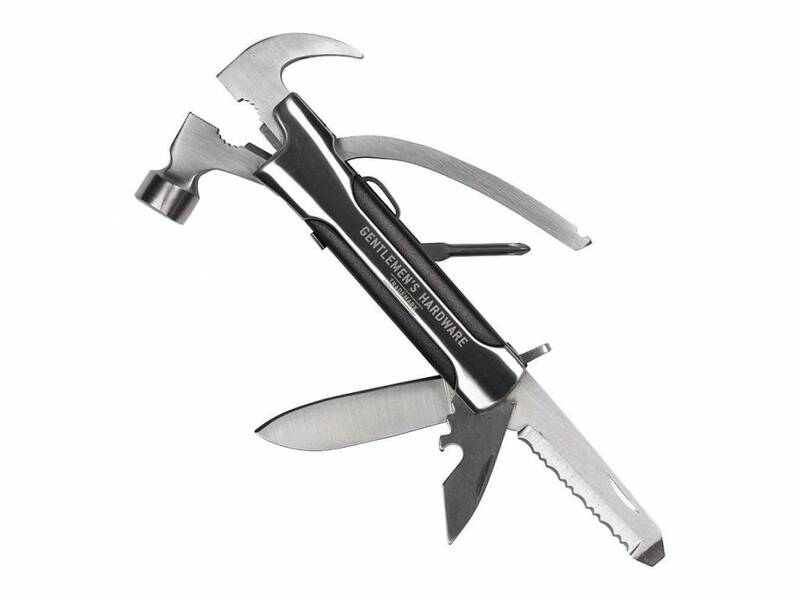 Contains five stainless-steel brass-effect tools: nail clippers, nail scissors, tweezers, nail file and cuticle push.